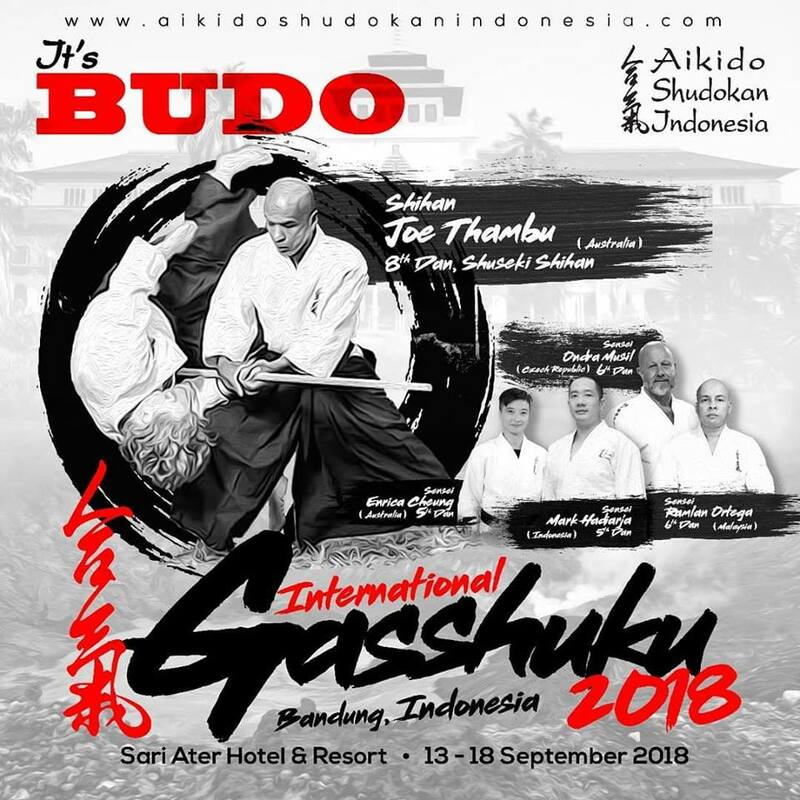 Another successful Gasshuku done and dusted, this time in Bandung, Indonesia hosted by our brothers and sisters from Aikido Shudokan Indonesia. We would like to express our utmost gratitude to our instructors, Joe Thambu Shihan, Ramlan Ortega Sensei, Ondra Musil Sensei, Enrica Cheung Sensei, and Mark Hadiarja Sensei for sharing their invaluable knowledge on and off the mats. We would also like to thank the team at Aikido Shudokan Indonesia for taking care of us and truly making us feel at home. Until the next one, osu! The Gasshuku will be held at Sari Ater Hotel & Resort from 13-18 September. This is great opportunity to learn from some of the best Aikido instructors in the world in a beautiful location. Please contact us for more information and reservation! Copyright © 2018 Aikido Shudokan Group of Martial Arts. All Rights Reserved.